Congratulations on your New Kitten! We Can’t Wait to Meet Your New Furry Family Member. 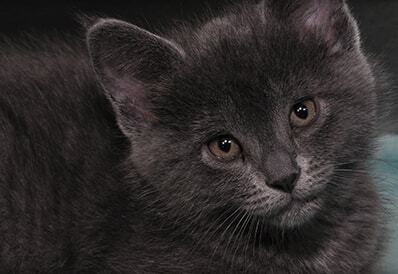 We look forward to welcoming your new kitten to our Tri-County Animal Hospital family. As a Cat Friendly Practice, we have embraced the higher standards of care needed to look after feline family members. We have created a cat-friendly environment within our hospital, where cats do not come into contact with dogs and cats are treated in a soothing, calm manner. A cat friendly hospital means less stress to both you and your kitten when visiting our hospital. Please bring your new kitten to Tri-County Animal Hospital for a check-up as early as possible. The comprehensive kitten exam is an important step to ensure your kitten is healthy and will allow us to detect any potential health issues early. We will make sure your kitten receives a good healthy start in life through comprehensive kitten exams, vaccinations, parasite protection, nutrition, exercise and environmental enrichment advice. All paperwork pertaining to the previous care of your kitten including all previous immunizations, deworming, medications and any veterinary records you may have. You may email these records to us as well. Your kitten’s first wellness exam will set the foundation for your kitten’s long term health and establish a long-term beneficial health record. It also allows us to monitor any medical or behavioral conditions for your kitten. Please call us today to schedule your kitten’s wellness exam.